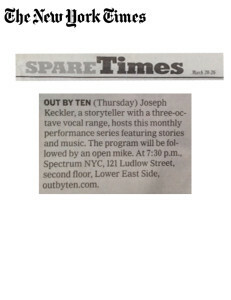 Out by 10 hits the big time — we were featured in The New York Times’ Spare Times Section several times. 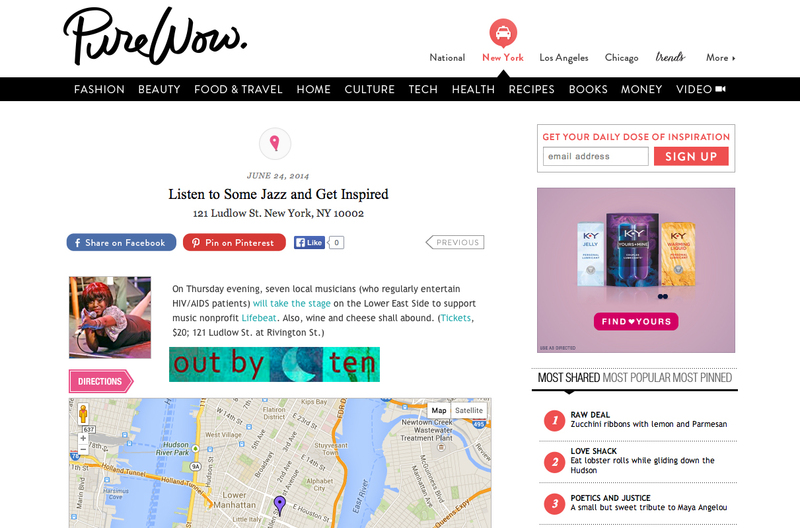 And Time Out and Pure WOW, too. 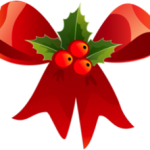 Out by 10 (Friday) This spoken-word series, founded by the writer Susan Seliger, celebrates Valentine’s Day with two shows that provide humorous takes on the holiday. Guests include Ophira Eisenberg, host of the NPR game show “Ask Me Another”; Wendy Suzuki, a doctor and professor of neural science and psychology at New York University; and Sean Altman, a singer-songwriter who co-wrote the theme song to the PBS series “Where In the World Is Carmen Sandiego?.” At 7 and 8:45 p.m., John Strasberg Studios, 555 Eighth Avenue, between 37th and 38th Streets,outby10.com. 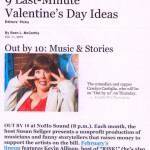 Out by 10 (Friday) This salon-style evening is back for a new season, starting with music and performances by three winners of the Moth’s StorySlam. 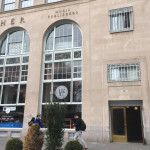 The lineup includes: Ophira Eisenberg, host of NPR’s “Ask Me Another”; the 20-time StorySlam champion Adam Wade; and Wendy Suzuki, a neural science professor at New York University. 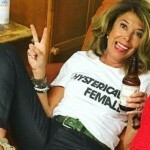 At 8 p.m., John Strasberg Studios, 555 Eighth Avenue, a West 38th Street, Manhattan, outbyten.com. 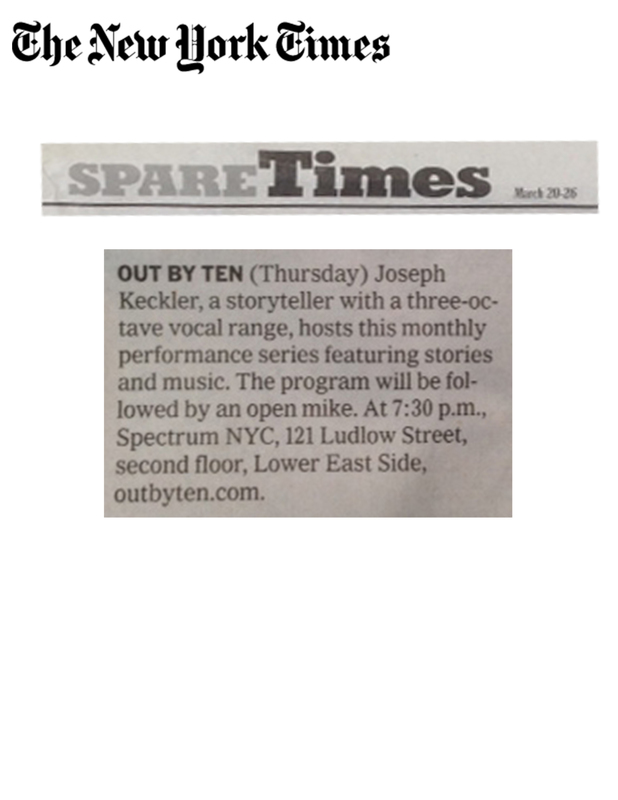 Out by Ten (Thursday) Joseph Keckler, a storyteller with a three-octave vocal range, hosts this monthly performance series featuring stories and music. The program will be followed by an open mike. At 7:30 p.m., Spectrum NYC, 121 Ludlow Street, second floor, Lower East Side, outbyten.com. Posted at March 12th, 2014 by admin.